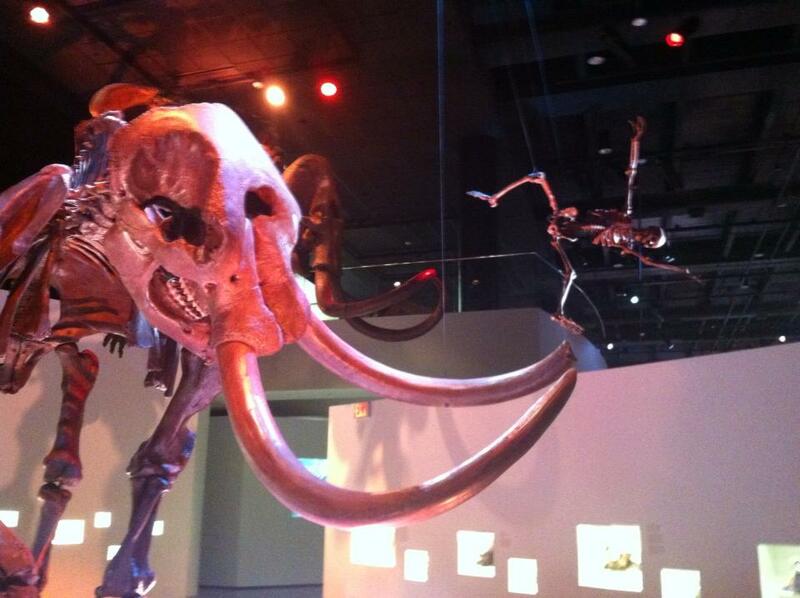 Above is a picture I took last week at the Morian Hall of Paleontology at the Houston Museum of Natural Science. In this picture it appears that a person is falling into the tusks of an evil laughing Woolly Mammoth. I’m not certain that this image was the intent of the folks who desgined the exhibit, but I have to commend the result in any event. Texas Liberal is a blog of politics and political history. My name is Neil Aquino. Here is my profile. I can be reached at naa618@att.net. Additional focuses of the blog are books, art, poetry, personal relationships and, also, sea life and marine mammals. The signature post of this blog is the Martin Luther King Reading & Reference List. This list is the best of it’s kind on the web. Another good post is my reciting the words to the Shaker hymn Simple Gifts on Galveston Island, Texas as a ship passes behind. I live in Houston, Texas and I do sometimes write about political issues in Houston and in Texas. I also often write about my former hometown of Cincinnati, and about the great beach city of Galveston, Texas. I define liberalism as a role for government in the economy to help make life more fair, and a broad acceptance of people regardless of who they are. This is why it says “All People Matter” at the top of the blog. A blog grows one reader at a time. If you like what you read here, please consider forwarding the link. Texas Liberal began regular posting on July 25, 2006. I also blog at the Houston Chronicle as one of eight featured political bloggers, and on Where’s The Outrage? which posts out of North Carolina. Thanks for reading Texas Liberal. How Do You Say ‘Bro’ in Latin America?